Gearing up for Pittsburgh’s cooler months. Preparing your lawn and yard for the winter months is something you can tackle in the fall. With smaller spans of daylight and overnight temperatures dipping below 50 degrees, you are likely starting to see your flowers dying off, leaves falling, and your grass’s growth being stunted by the change of season. Cleaning up your landscape now is a great way to prepare your yard for the following Spring. It’s been a long, hot and humid summer and while you’re itching to put away your lawn and garden tools, J Bird’s Landscaping & Excavating’s fall lawn service experts suggest making one last trip around your yard before the snow begins to fall. 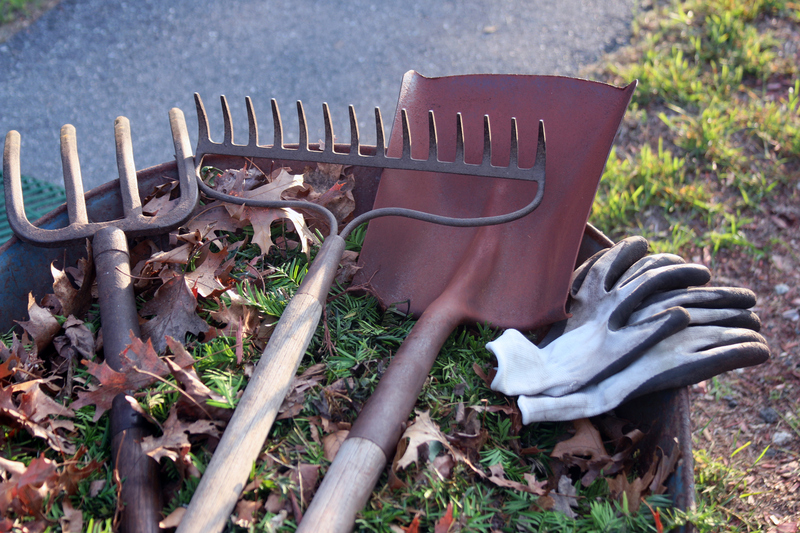 Raking the leaves, while it may seem tedious, is a good way to prepare your yard for the Spring. While leaves aren’t that bad for your lawn, with all of the rain we’ve had, too much ground coverage from the leaves can lead to a soggy turf, seasonal allergies, and place for little critters, like voles and mice, to call home. Do yourself a favor and avoid thatch, allergy and rodent infestation, by raking, blowing or composting your leaves. We tell all of our customer’s, that it’s a good idea to cut their grass one last time before they close up the shed. We suggest cutting it back to 1 ¼ inch to prevent the growth of disease. We mentioned thatch above, but what is it? Thatch is the buildup of dead, organic plant matter and can be caused by bad yard drainage or too little time drying out between periods of rain. Too much thatch can cause root damage. Aerate your lawn with a garden fork or an aerator. This landscape method will help increase soil microorganisms that help break down thatch, creating healthier soil and grass. While the time to fertilize has passed with the summer, now is the time to feed your lawn with a high-phosphorous mix of lawn food to encourage root growth. Many may not realize, like other perennials, the grass may stop growing to preserve energy during the cooler months, but the roots will continue to grow until the soil reaches 40 degrees. Feed your lawn in the fall and expect greener grass in the spring! Slippery When Wet: Cleaning up your yard and overall outdoor surroundings can help prevent injuries. Not only are fallen leaves slippery when wet, but things like tree branches and sticks that break off during the autumn can also lead to slip and fall injuries. What seems like a minor obstruction can lead to a serious injury, especially when the snow and ice arrive. Don’t put your family and holiday visitors at risk. Be sure to remove fall debris from your walkways and driveways. OK Pittsburgh, we had to say it! We live in an area where our winters drag out well into the spring. Spending these final few weeks, outside, taking in the crisp, cool air of the fall, will help you stay active, healthy and refreshed. As we gear up for the long-haul, put off the winter slump by getting outdoors as much as possible! J Bird’s Landscaping and Excavating is the South Hill’s premier landscaping and hardscaping company! Call us at 412-224-0639 for all your lawn and yard needs!